The term “ayana” means one half of a year, and there are two ayanas in one year, viz, the Uttara ayana or the 6 months when the Sun moves towards the north, and the Dakshina Ayana, the 6 months when the Sun moves towards the south. December 21st is the time of the year when the Sun reaches its most southern position and from here it begins it motion towards the north. This date marks the beginning of winter season and the shortest day/longest night of the year for the norther hemisphere and of summer season and longest day/shortest night of the year for the southern hemisphere. 6 months on the human earthly plane are equal to one day for the Devas, (commonly translated as gods, the beings of light, or angels). In the Vedic system, this beginning of the northern course of the Sun is called as Uttara Ayana, and it is the beginning of the Day of the Devas and it’s the night for the “Asuras” (beings of darkness, demons). After the Sun reaches its most norther point, on June 21st, the Sun begins to move southwards and that is the beginning of the Dakshina Ayana, or the night of the devas and the day of the asuras. By some error, some Hindus or even many Vedic priests wrongly celebrate the beginning of the Uttara Ayana on the day the Sun enters the sidereal constellation of Capricorn, on January 14th, also known as Makara Sankranti. That error happens because they confuse the proper use of the sidereal and tropical zodiacs. 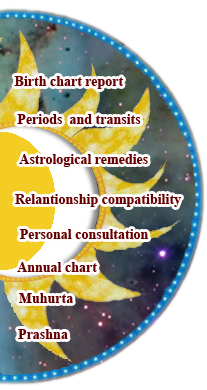 While the sidereal zodiac is used in Vedic astrology for all chart interpretation purposes, it is the tropical zodiac which should be use in concern to the equinoxes and solstices, because that is exactly what the tropical zodiac is based on. This is a fact that can be easily observed directly by one’s naked eyes. Just look at the eastern horizon at the time of sunrise and mark the exact point of the horizon at that time. You will observe that during 6 months of the year, the sun rises every day to a more southern position, until December 21st when the sunrise starts to move more north every day until it reaches its most norther point on June 21st, then again it starts to move southwards. So, the solstices and change of Ayana happen when the sun ingresses the Tropical signs of Capricorn and Cancer and the equinoxes happen when the sun ingresses the tropical signs of Aries and Libra. So, Makara Sankranti would be correct as the beginning of the Uttara Ayana only if it is considered as the tropical Capricorn and not sidereal Capricorn. The Uttara Ayana (northern course of the sun) is considered as most auspicious for celebrating important events of life and for the beginning of good works (karmas), as the divine forces and light are more dominant at that time. But for a true nishkama karma yogi, one who works without any expectation for the fruits of his actions, or for engaging in yoga sadhana, this is irrelevant. Meeting with death on Uttara Ayana is declared as most auspicious, even though for a realized or liberated Soul (Jeevanmukta) this is irrelevant. Copyright © by Jyotish 9graha, all rights reserved.